Delving into human psychology is an interesting area and we started to look at it in the context of people who are good in achieving their goals. As we kept on digging into the subject matter, we realized the importance of “self-belief” to stay focused through ups and downs of goal journey. Our findings on this topic got further reinforced by various resources available on web. A good thing happens in this journey that as one accomplishes one task after another towards the goal, the self-confidence increases. The probability of accomplishing next goal becomes much higher, this is also known as self-efficacy. One may use self-efficacy theory and start with easier tasks/goals to build self-belief before shooting for challenging goals. Self-efficacy is a wonderful tool for parents, teachers, spiritual leaders and students in setting us up for a better future. Our sub-conscious mind understands our abilities and even the thought of setting a goal itself is a sign that we can achieve the goal. Our mind accounts for all the variants and shows us the path that is why we often hear, "believe in your gut-feeling". We often hear “Power is within”, “Aham Brahmasmi - I am Divine” and it has been proven again and again by great personalities around us where they become role model for others for their struggle and achievements. So, “love yourself” and stay focused on your goals and you will reach them. One has to be very much aware of the distractions especially in the world we live in today and limit the exposure to the distractions. We may want to surround ourselves with positive beings who help us reinforce our belief in our goals. 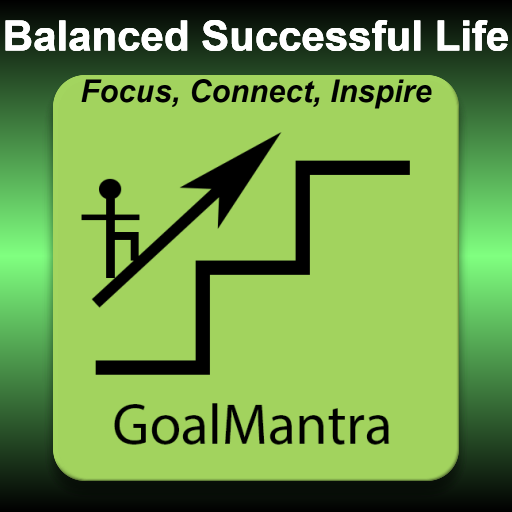 The goal-setting thought can be triggered from anything around us whether it is health, wealth, education, serving a cause or anything which makes us feel more complete. Many times we work for our livelihood and dream of achieving side goals, in such cases we may want to bring in discipline of setting aside little time say daily or weekly and build upon it. Life moves on and it may be worth making it a more engaging experience for ourselves and others. It is our belief that the joy of intoxication from engaging in self-less goals is ultimate bliss one can experience in life. These goals can be thought of as our part of contribution for the greater society. In spiritual sense, it is merging of individual consciousness into infinite consciousness and our soul enjoys this blissful union. Passion drives many of our long term far reaching goals which have bigger impact. We can persevere the ups and downs in our journey of such goals only if we truly love doing them. We should see every failure as a step towards success and learn to address the cause of failure. Embrace failure and not be afraid of them as they do teach. One may need to practice self-belief almost like a ritual of doing a self-check daily and see what helped and what did not. If necessary make a log and address those issues. If despite all efforts, things are not working out it may be possible that alignment of goal, values, passion and reality check needs to be done and they should all cater to the one big goal of “Staying Happy”. In subsequent blogs, we will follow with many other rituals which will assist in making self-belief stronger. Wish you all the best in your goal "Reinforce Self-belief".